October 7, 2014 - Back in 1995, when I was almost 20 years younger, I was daring enough to hike all the way up to the mountaintop. But much to my relief, there was no need to do it again, because this time, I was there for a different reason. Instead of the view from 4,675 feet above sea level, this time I was there to see that majestic sierra from a distance and to admire the huge crucifix that stands on its summit. This time, I was on the Great Hispanic American History Tour, and Mount Cristo Rey — in Sunland Park, New Mexico, just west of El Paso, Texas — was a mandatory stop. 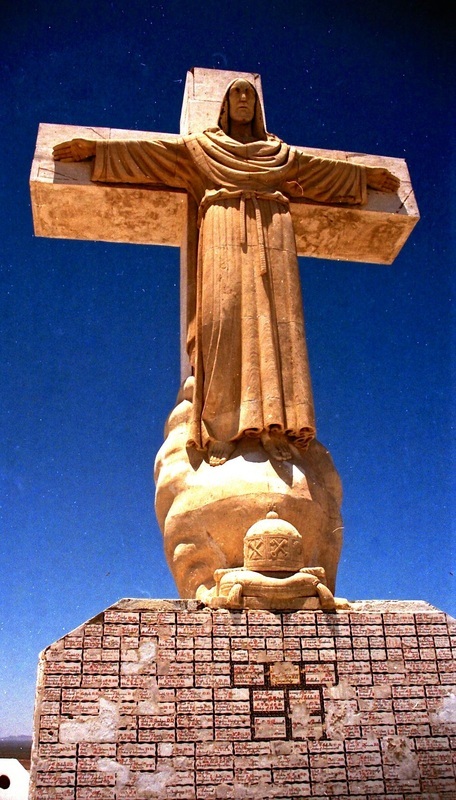 It was conceived by a Hispanic priest, was created by a Spanish sculptor and has guided Latinos along El Paso del Norte (the Pass to the North) for more than seven decades. Just as the Statue of Liberty has been the guiding light for our European immigrants, Mount Cristo Rey (Christ the King) has served as a beacon of hope for an untold number of Latino undocumented immigrants making treacherous journeys across the barren Chihuahuan Desert to the United States. 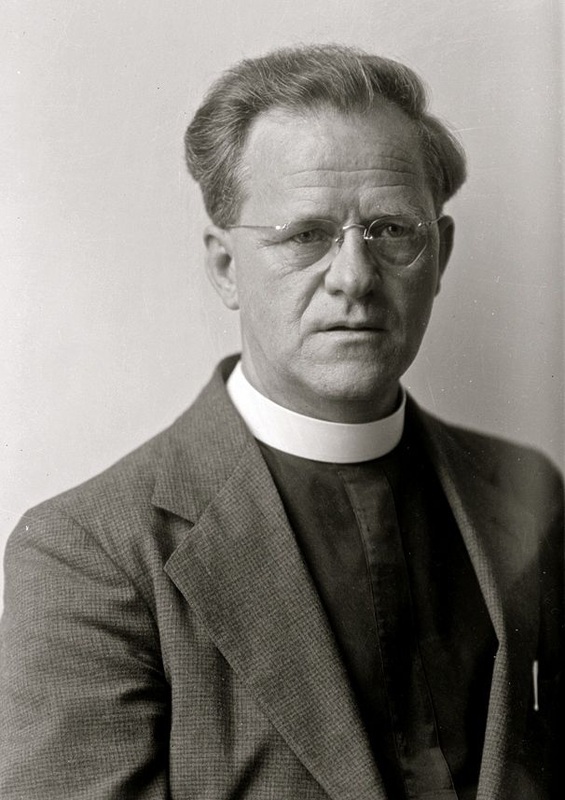 It was envisioned in 1933 by the Rev. 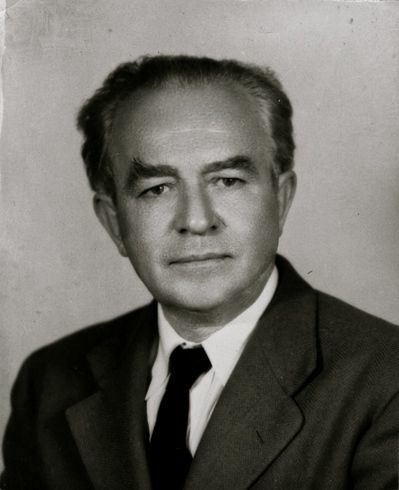 Lourdes Costa, a parish priest in Smeltertown, Texas, who led his congregation to erect a wooden cross there in 1934, followed by a bigger iron cross later that year and the current 42.5-foot limestone monument, by renowned Spanish sculptor Urbici Soler, in 1939. In 1995, after hiking with undocumented immigrants across the desert canyon at the foot of this mountain, I also climbed to its summit, mostly because it provided the best bird's-eye view of U.S. immigration policy in the 1990s. Sprawled smack in the middle of the U.S.-Mexico border, Mount Cristo Rey is the point where Texas, New Mexico and the Mexican state of Chihuahua converge. 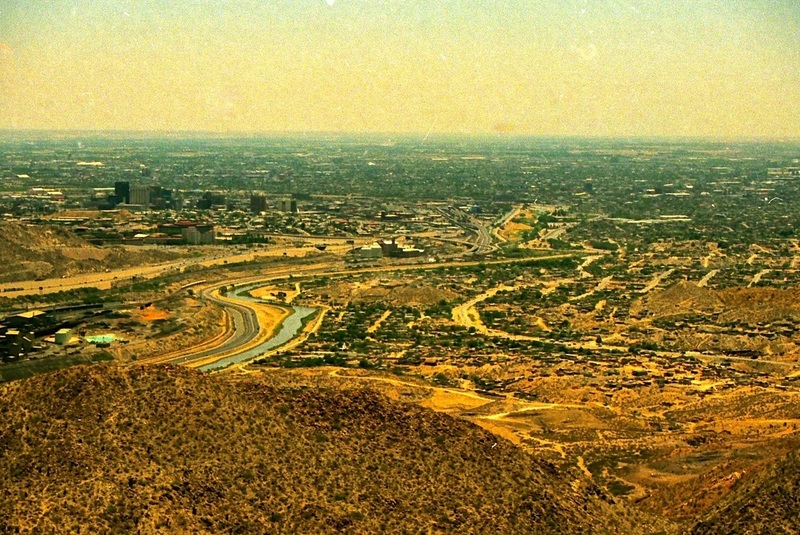 From its summit, looking toward the east, I could see the sprawling metropolitan area of El Paso, Texas, and Ciudad Juarez, Mexico — two cities in two countries divided by the narrow Rio Grande — an area where higher fences and additional river canals already had been built to prevent illegal immigration from Mexico. But to the west, there was only an imaginary borderline. There was no fence. 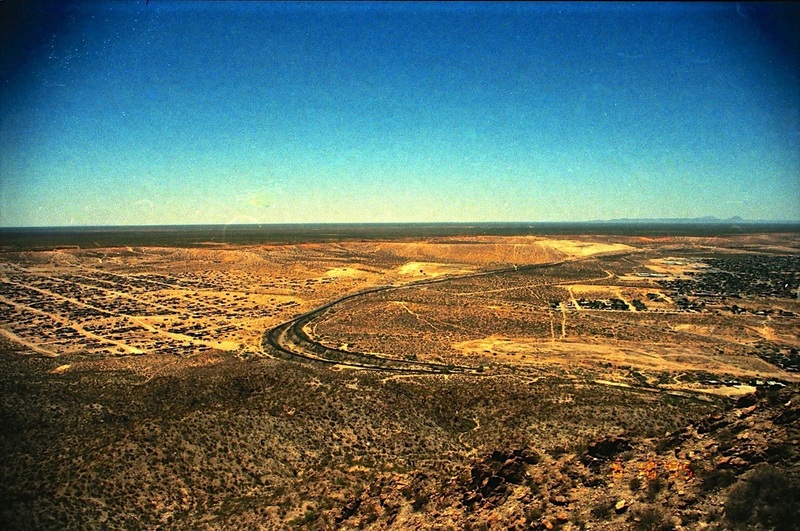 Only railroad tracks and a dirt road, on the U.S. side of the border, served as the informal borderline marker, cutting across the rugged desert canyon that divides Sunland Park from Puerto de Anapra, a Mexican shantytown built by squatters who dreamed of coming to the United States. At that time, I spent almost two weeks in the area, both crossing the border with undocumented immigrants and going on the prowl with U.S. Border Patrol agents. The El Paso Border Patrol sector — covering 380 miles in West Texas and southern New Mexico — was conducting Operation Hold the Line, and most of that sector's apprehensions of undocumented immigrants were occurring there, just west of Mount Cristo Rey. Of course, things have changed there in the past two decades. Now there is a huge fence along that section of the border. 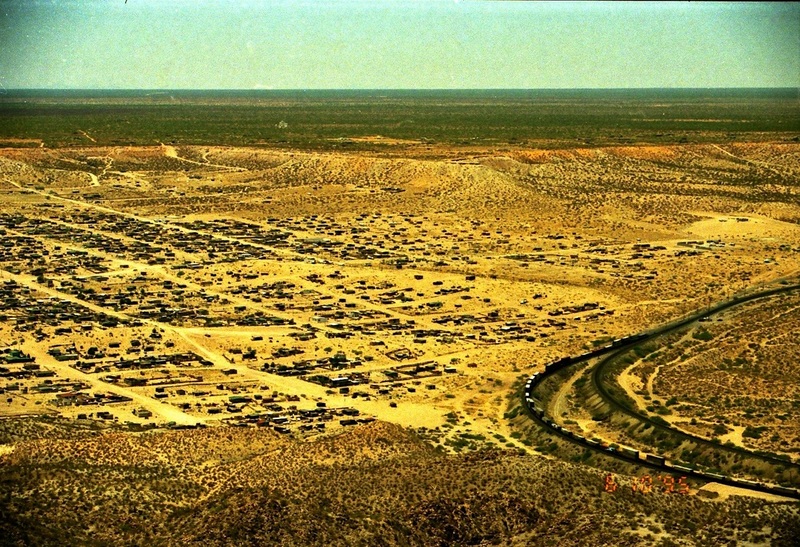 And immigrants are forced to undergo even more treacherous journeys, deeper into the desert, to find crossings without fences. 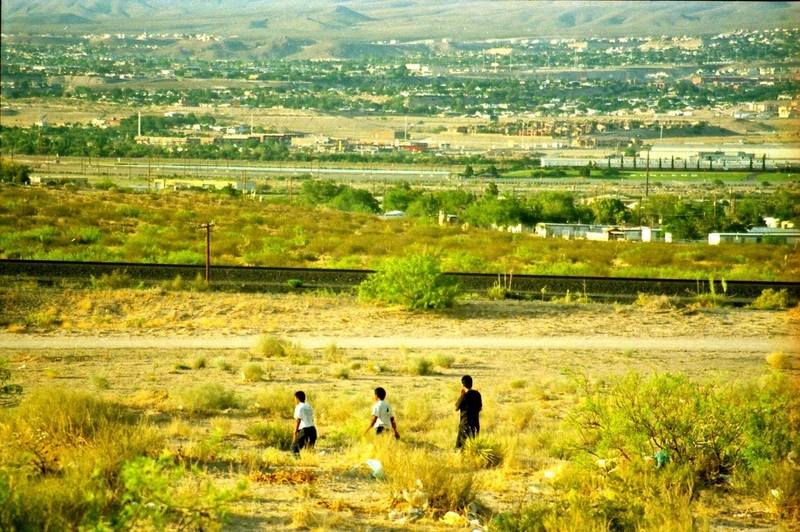 Puerto de Anapra is infamous as one of the poorest and most violent suburbs of Ciudad Juarez. 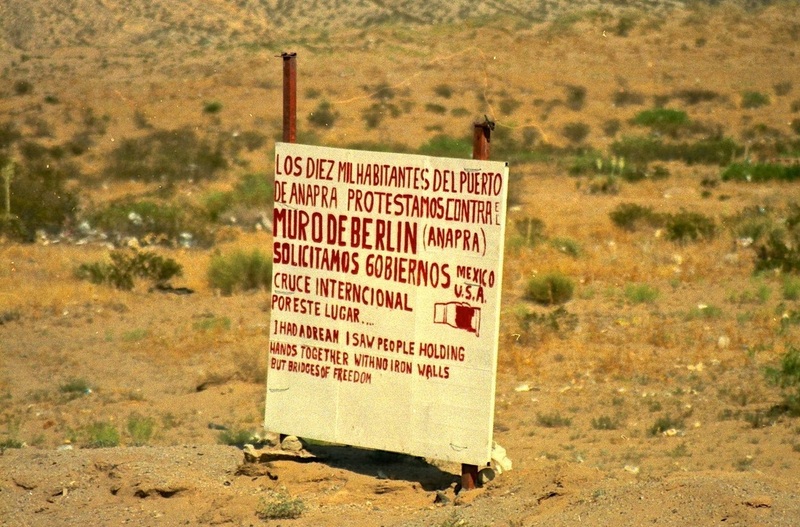 When I visited Puerto de Anapra in 1995 and hooked up with groups of undocumented immigrants who were crossing the railroad tracks into New Mexico, I saw how they looked up to Mount Cristo Rey. When they saw that cross on the mountain, they expected compassion from Americans who profess to be Christians. 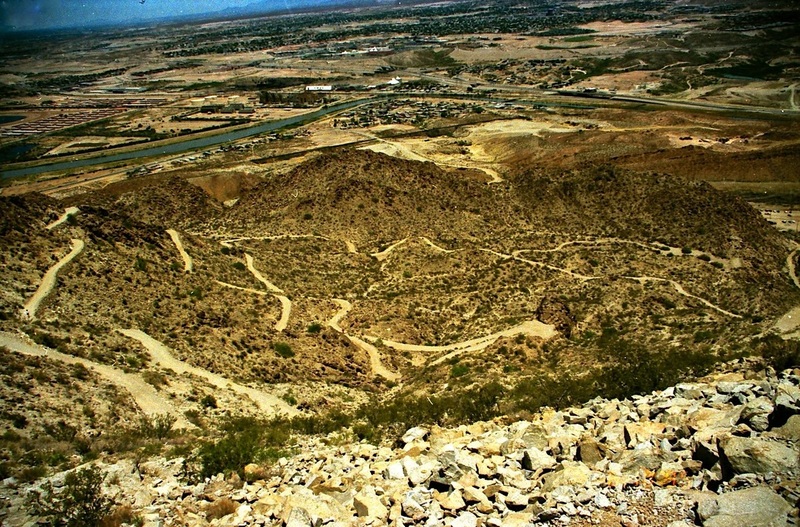 But even then, to go up to the summit on a 2.5-mile trail only accessible from Sunland Park, you were advised to go in a group. Because half the mountain is in Mexico and the international border runs across it, Americans were told to be cautious in that area. 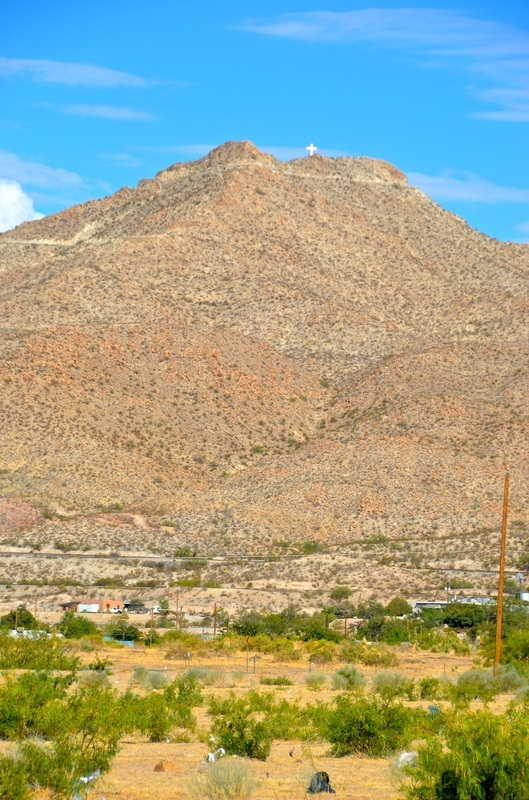 Nowadays, however, in spite of much greater security along the border, potential hikers are "urged to contact the (monument's) Restoration Committee or the Sunland Park Police Department prior to attempting to climb Mount Cristo Rey," according to the committee's website. "Due to the proximity of Mexico on the southern edge of the mountain, visitors are cautioned not to climb alone and always go in groups," the website says. "Vandalism, assaults and robberies are still an ongoing problem and visitors are encouraged to visit on days when organized events are being held and security is on site." And these events are rare, mostly limited to organized religious pilgrimages. It's a shame. If authorities provided adequate security, the place could be a tremendous tourist attraction, not unlike the much more famous Christ the Redeemer statue overlooking Rio de Janeiro. 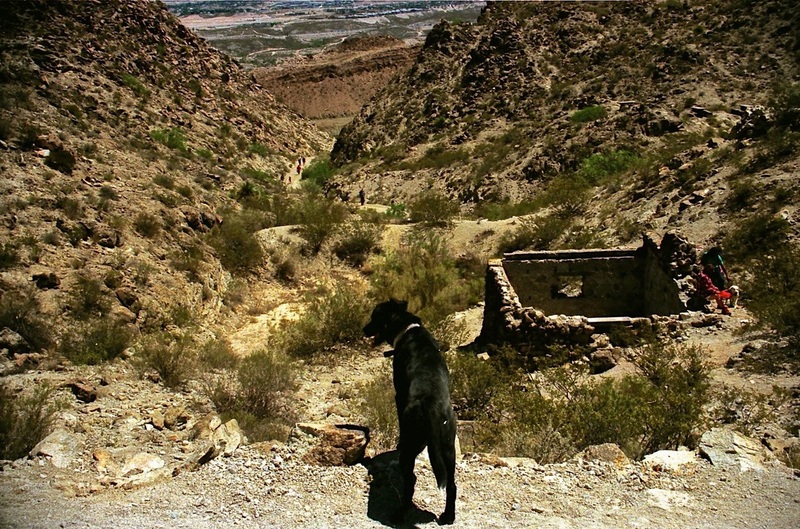 Yet when I was there recently, on McNutt Road in Sunland Park and on the dirt road that leads to the mountain hiking trail, the place was desolate. I only saw a couple of Border Patrol agents, who reminded me that it was "not safe to go up there alone." And I was struck by a sign displaying the police phone number one should call before visiting the mountain. 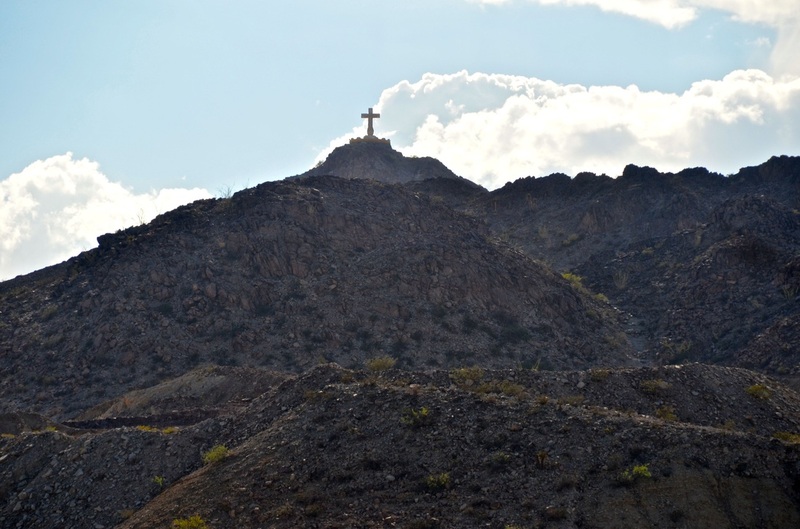 Nevertheless, from a distance, especially from the sprawling Chihuahuan Desert on the Mexican side of the border, the giant crucifix still serves as the compass of hope Costa envisioned when he looked out the window of his Smeltertown home, saw a mountain peak that needed a landmark and decided to take action. 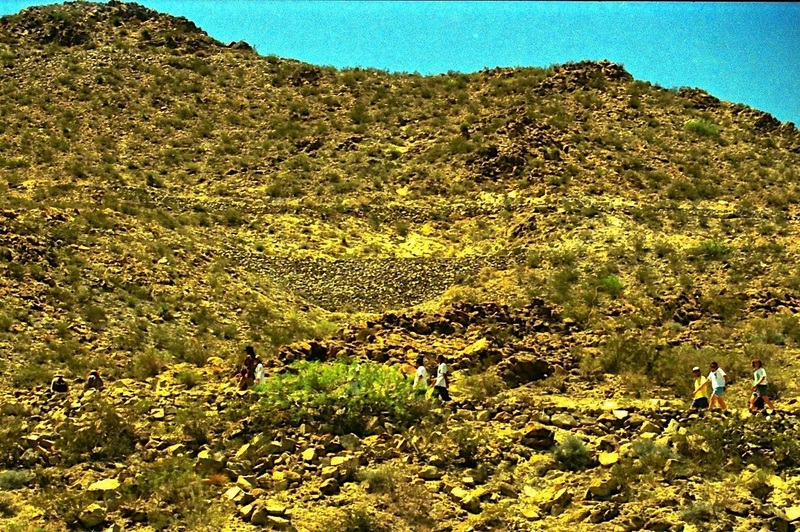 Costa got the Catholic Diocese of El Paso to buy almost 200 acres of land on the mountain and persuaded his parishioners not only to climb its treacherous slopes while carrying the materials to build the first two crosses but also to volunteer their time for almost five years to make the mountain suitable for ascension. 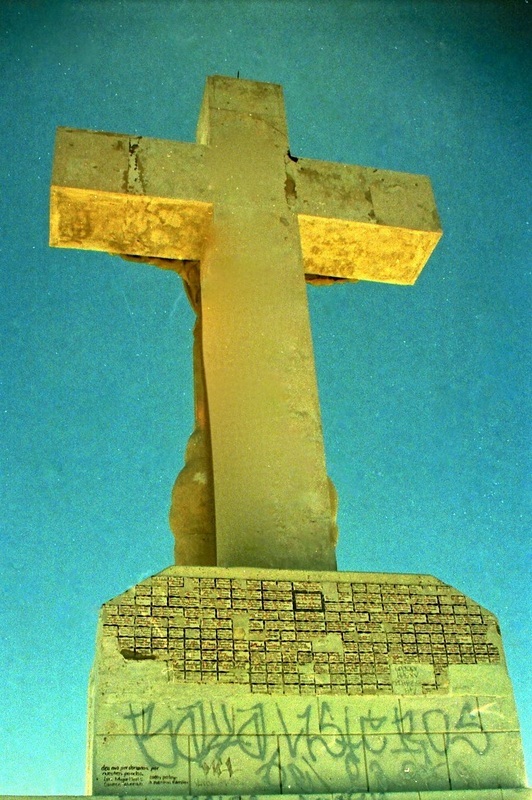 By the time the third and current cross was installed in 1939, they had created the 2.5-mile deep-sloped path that winds around the mountain and leads to the summit monument. When I climbed up there in 1995, I was with a group of El Paso immigrant rights advocates, who were showing me the topography of the entire area and illustrating how the border fences were driving immigrants further west and increasing the dangers and hardships they faced. They wanted to show me the place where the American dream becomes illegal. I still remember the view was breathtaking. But it was not because I was beholding a beautiful metropolis — not like looking at New York from the Empire State Building or Paris from the Eiffel Tower. It was because from there, standing next to Christ the King, I could admire the courage of those who dared to dream beyond the confines of their poverty. Truly breathtaking! Next week, as the Great Hispanic American History Tour keeps moving west, we'll visit a town established by people who fled the United States to live in Mexico, only to have the Unites States later purchase the territory that covered their town. It's Hispanic Heritage Month! Can you think of a better time to expose our hidden Hispanic heritage?